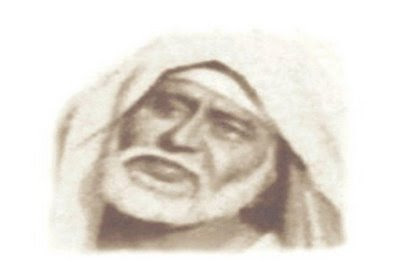 This post is in continuation of last post of experience of Sai brother Sachinji. He had attached this picture with the mail and so I have uploaded here. Readers, please refer to the first part of this experience from here and then continue to read this post. In last part, I told that how I got selected in INFOSYS. Now I will continue Babaji’s leela. One very strange thing happened before I got a call from INFOSYS. I was reading one of the articles in Sai Leela magazine of Sai Babaji at the time when I was frustrated for not getting job. To my surprise, the article was also regarding one of the boy (don’t remember the name) who was not getting job and when he went to Babaji, he asked for his help. He used to ask Babaji for which place is best for his job. Babaji used to say “Pune” after everything he talked. Whenever he asked Babaji that how would be Satara or Mumbai as a place for my job. Babaji used to talk and then say Pune. He became very confused as why Babaji used to say Pune after everything He talked. One day he got a call from one of the company in Pune and he was selected for the job. It was then he came to realize about Babaji’s leela of saying Pune again and again. Babaji has his unique way of telling His devotees about the future. When I read this article I was assured that I would be getting job very soon but I did not ever think that I will also get the job in Pune!!!! Now a days I am in Pune, and its like being under Babaji’s grace and His divinity. I often visit SHIRDI now and all this is due to BABAJI’s grace. My INFOSYS training was in Mysore. So I set off for Mysore on January 9th,2008. I boarded train (Karnataka Express) from Delhi and started my journey. I was carrying Sai Satcharitra with me. At the start of journey, I never thought that it’s the journey towards my Babaji !!!! The route of the train included Kopergaon which is just 12-14 Km from Shirdi. When train entered Maharashtra (The land of Saints), I could feel the divinity of the place. I came out and stood near the door of my boggie. It was twilight and the sun was setting, which added to the bliss. As the time passed, darkness of night surrounded the area. It was a clear night with stars appearing like blessings from Shri Sai Babaji. I kept on chanting Babaji’s name while standing there. After sometime the train reached Kopergaon station. Kopergaon Station has its own uniqueness with peace surrounding the whole place. One can see Babaji’s photos hanging around every part of station. This station is also mentioned in Sai Satcharitra many a times. I was very much thrilled to see the calmness there. Also Shirdi was so near that I could feel the vibrations in Kopergaon station also. I stepped out of train and bowed to Babaji from there only. Then I called my parents from there and told them that I am in Kopergaon station. They felt extremely happy. 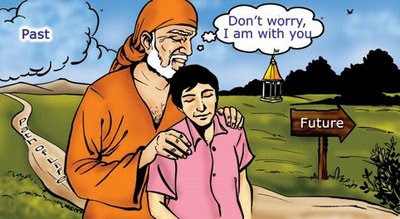 When the train left Shirdi there were tears in my eyes, I was feeling a separation from Babaji and was asking Him why He did not allow me to be in Shirdi as I was so near to it. But I did not knew at that time, that Babaji was setting the stage to bring me closer to Him!!! Finally I reached Mysore and my training started. INFOSYS training is considered to be the toughest training. This is the policy of company that anyone who don’t clear this training has to be expelled from job. I started my training with Babaji’s grace. It was 4 months traing which was divided into 2 parts (Generic and specific, each of 2 months). My training started off well but after 1 month it become the worst for me. There were frequent tests with almost nil time to prepare. I lost all my senses while studying there. Then it was the final exam of first 2 months training (generic). It did not go well and I failed. There was only one chance left. If failed, I would be expelled from job. I started praying Babaji in my hostel room, started visiting Sai temple (which was in city), started listening to Babaji’s bhajans while studying. I again re-appeared for the same exam. This time again I did not go well. I was very scared and prayed to Babaji to save my job. As the result day was approaching I was getting more and more scared. Finally, a night before result I took Babaji’s vibhuti and went for sleep in tension. While sleeping Babaji appeared in my dream. He was standing behind me with both His arms up and His blessed hands were showering blessings on me. Suddenly, I woke up and I was now sure that I’ll pass. Then the good news came at around 12:00 pm and I passed that exam with Babaji’s grace. It was the most shivering experience as Babaji Himself appeared before me in my dreams and relaxed me from such a big worry. Now the second part of the training started and again its final exam did not go on well and the same tension surrounded me. I prayed to Babaji to let me pass through this exam as I would not be able to study again and reappear for this exam and will be expelled from the job. Again it was a night before the result and my condition become worsened. Somehow I managed to sleep and Lo! I saw same dream again. Babaji was standing behind me with His arms up and His blessed hands towards me. When I woke up, it was like an unbelievable experience for me. I was again assured by Babaji that I would pass. And yes the miracle happened at about 2:00 pm and I passed. Due to Babaji’s grace I cleared my training which was impossible without Babaji’s blessings. Actually everything in my life is impossible without Babaji. Now, the employees were to be allocated to different places. How I came near Babaji, that I will be sharing in the next part. OM SAIRAM. Your experience is really heart throbbing.